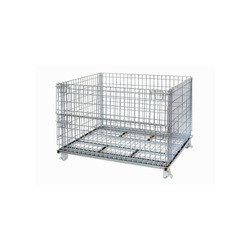 Being one of the trusted firms in the industry, we are highly engaged in providing a unique range of Foldable Storage Cage. CAPITALIZING OUR EXPERTISE IN STAMPING TECHNOLOGY, WE ARE ABLE TO MANUFACTURE CAGES FROM VARIOUS GRADES OF STEEL AS PER THE CUSTOMER NEEDS. THESE ARE LIGHT IN WEIGHT, RELATIVELY HIGH IN STRENGTH AND ABLE TO REDUCE FRICTION & WEAR. We are dealing in Steel Cage. 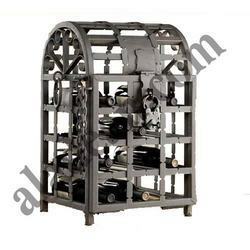 In order to retain remarkable position in this industry, we are providing a wide array of Steel Pallet Cage. Brand: Pratiksha Filters Pvt. Ltd.